Local: home credit arena (webpage). Lenka Pankova (juez de zonas). Mirja lapanja (slovenia): courses facebook, wordpress. petr pupik (czech rep.): facebook, wordpress. medium (jp team, ag team, jp indiv, ag indiv). 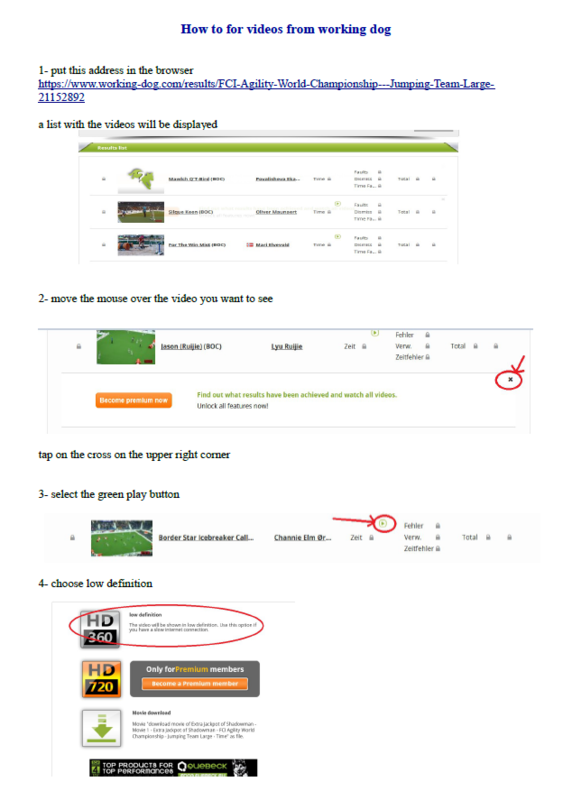 help for viewing (.pdf, .png). ♦ combined small for the 4 runs (click). 1-tobias wüst & dörte (germany), 2- linda enberg & bella (sweden), 3- sophie lafond & felicity (france), 4- dimitri kargin & stenley (estonia), 5- carmen briceño & magia (spain). ♦ combined results for the 4 courses agility + jumping + team + individual for medium. 1- daniel schroder & cashew (germany), 2- katerina & izzy (czech rep.), 3- svetlana & tory (russia), 4- maniewska & brava (poland), 5- aleksander & niki (estonia). ♦ combined results for the 4 courses agility + jumping + team + individual for large. 1- konan & masanori kaitoda (japan), 2- gin & daniel schröder (germany), 3- wifi & theresa rector (canada), 4- susi & marje piiroja (estonia), 5- dints & marje piiroja (estonia). ♦ resultados small de sudamericanos: individual (click), equipos (click), 4 carreras (click). ♦ resultados large de sudamericanos: individual (click), equipos (click), las 4 carreras (click). varios sudamericanos sólo corrieron carreras en individual. ♦ resultados medium de sudamericanos: individual click), equipos click), 4 carreras click). 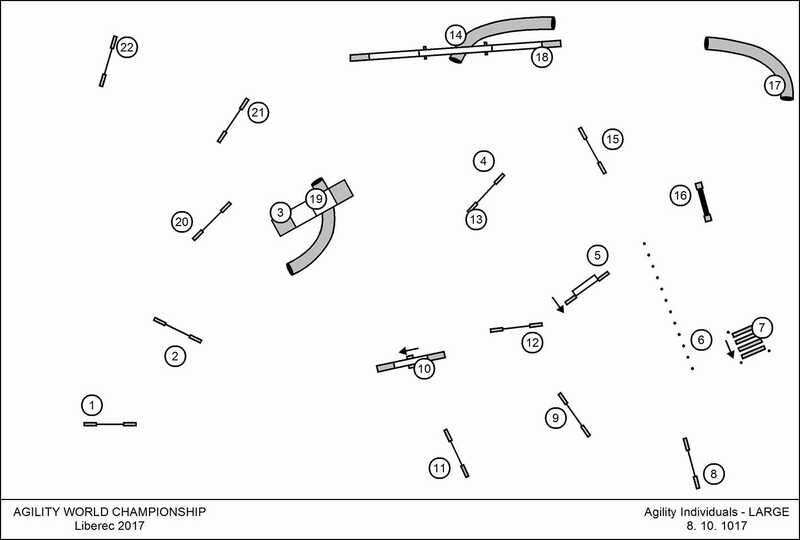 ♦ Most common mistakes in the agility individual large for dogs with clean run in jumping (facebook Canis Curiosus). ♦ Most common mistakes in the agility individual courses medium small and results in small individual (Canis Curiosus). ♦ statistics on facebook: results (aki tomita); medals (marco giavoni): germany and czech rep. took 3 each one. ♦ Videos from closing ceremony (1, 2). ♦ live stream of closing ceremony from working dog on facebook. ♦ videos: tereza kralova & say (1, 2, 3, 4, 5, 6), patrizia ciuffetti & skin, sylvan & fleece, lisa frick & jack (1, 2), Austria, anita & dita, marje piiroja, guillem & tri (1, 2), jenny damm & lilli, sally andrews, philipp muller schnick, jouni & neela, anne lenz & chi . ♦ agility + jumping: 1- kralova (czech rep.) & say 34.53, 2- anita (hungary) & dita, 3- giraudi (italy) & eira, 4- schroder (germany) & gin, 5- katoda (japan) & konan. agility: 1- kralova (czech rep.) & say 34.53, 2- anita (hungary) & dita 35.62, 3- guillem (spain) & tri, 4- nicola (italy) & eira, 5- aleksandra (slovenia) & yuca. ♦ best lap: kralova (czech rep.) & say 34.53. First place in agility and in agility + jumping.BR> ♦ agility + jumping: 1- anita (hungary) & dita, 2- giraudi (italy) & eira, 3- schroder (germany) & gin, 4- katoda(japan) & konan, 5- piiroja (estonia) & susi. ♦ agility: 1-anita (hungary) & dita 35.62, 2- guillem (spain) & tri, 3- nicola (italy) & eira, 4- aleksandra (slovenia) & yuca , 5- nina gregl (croatia) & wai. ♦ best lap: anita (austria) & dita 35.62. ♦ agility: 1- guillem (spain) & tri, 2- nicola (italy) & eira, 3- aleksandra (slovenia) & yuca , 4- nina gregl (croatia) & wai, 5- adrian (spain) & sucre, 6- silvan (switzerland) & fleece and marianne (finland) & tero. ♦ agility + jumping: 1- anja (croatia) & buha, 2- fernanda (brasil) & fendi, 3- jessica (united kingdom) & cara, 4- nina gregl (croatia) & wai, 5-guillem (spain) & tri. ♦ agility: 1-guillem (spain) & tri, 2- aleksandra (slovenia) & yuca , 3- nina gregl (croatia) & wai, 4- lilian (switzerland) & gambler, 5- aimilia (germany) & april. agility + jumping: 1- nina gregl (croatia) & wai, 2-guillem (spain) & tri, 3-nakanoya (japan) & ryo, 4- sissy (austria) & yeremy, 5- aimilia (germany) & april. ♦ best lap: guillem (spain) & tri 35.74. ♦ 1- aleksandra (poland) & yuka 35.86, 2- lilian (switzerland) & gambler 36.71, 3- lisa frick (austria) & jack 37.33, 4- karina (latvia) & gepa 37.4, 5- eszterboth (hungary) & vie 37.42, 6- serge (luxembourg) & milow 38.10. ♦ best lap: aleksandra (poland) & yuka 35.86. ♦ best lap: dave munnings (united kingdom) & fame 36.02 (1 fault). ♦ 47/75 sec. 199 m.
♦ already official reults on line: agility, agility + jumping (need periodic reloads). ♦ course judged by petr pupik. ♦ orden de salida/ running orders official. ♦ resultados/ results: kacr (agility, agility + jumping), with working dog's live stream, caniva (use drop down menu). ♦ videos: claudia, schroder, wust, klimesova & kiki, trkman & le, werner & esmeralda, silas & beam, schroder & cashew, schwab & mylo, Martin eberle & Sloane, florian cerny & suki. agility + jumping: 1- schroder (germany) & cashew (shetland), 2- katerina (czech rep.) & izzy (berger des pyrénées), 3- svetlana (russia) & tory (border collie), 4- maniewska (poland) & brava (berger des pyrénées) 38.90, 5- andre (estonia) & niki (manchester terrier) 39.79. ♦ videos: wise & dizzy, maniewska & brava. ♦ agility: 1- eberle (switzerland) & sloane (border collie) 36.71, 2- svetlana (russia) & tory 38.89, 3- maniewska (poland) & brava (berger des pyrénées) 38.90, 4- andre (estonia) & niki (manchester terrier) 39.79, 5- andy de groote (belgium) & deedee (border collie) 40.11. ♦ break. agility: 1- eberle (switzerland) & sloane (border collie) 36.71, 2- andy de groote (belgium) & deedee (border collie) 40.11, 3- els (belgium) & jazz (shetland) 41.30.
agility + jumping: 1- cynthia (luxembourg) & melly (border collie), 2- stephan (canada) & wheeler with 2 courses with no course faults. ♦ videos: bozena & puck, jade & esso, eberle & sloane. ♦ 46/ 69 sec. 195 m.
♦ agility: 1- eberle (switzerland) & sloane (border collie) 36.71, 2- andy de groote (belgium) & deedee (border collie) 40.11, 3- els (belgium) & jazz (shetland) 41.30. ♦ best lap: martin eberle (switzerland) & sloane (border collie) 36.71. ♦ course (facebook, .jpg) judged by mirja lapanja. ♦ videos: tobias wust & doerte (1, 2, 3, 4), maik & sissy, linda, sandra, nicky & brahma, sandi & Miya. ♦ claudia schwab was the fifth runner and kept the best lap of the competition. ♦ agility + jumping: 1- tobias (germany) & doerte (shetland), 2- sandra (sweden) & milla (shetland), 3- eli (norway) & zelda (shetland), 4- lafond (france) & felicity (shetland), 5- enberg (sweden) & bella (shetland), 6- maik brands (germany) & sissy (shetland). ♦ agility: 1- schwab (switzerland) & mitch (shetland) 35.72, 2- tobias (germany) & doerte (shetland) 36.24, 3- sandi (slovenia) & miya (shetland) 36.57, 4- sandra (sweden) & milla (shetland) 36.80, 5- mikec (slovenia) & aksi (papillon) 37.52, 6- sapriko (russia) & rika (german spitz) 37.58. ♦ agility + jumping: 1- anke (belgium) & jeep (papillon), 2- becky (luxembourg) & dizzy (shetland), 3- karine (france) & icy (papillon). agility: 1- schwab (switzerland) & mitch (shetland) 35.72, 2- sandi (slovenia) & miya (shetland) 36.57, 3- mikec (slovenia) & aksi (papillon) 37.52, 4- sapriko (russia) & rika (german spitz) 37.58. ♦ best lap claudia schwab (austria) & mitch 35.72. ♦ 47/ 75 sec. 200 m.
♦ videos: wust & doerte, sandi & miya, nora perge & freya, youtube cluzel, facebook nina kapfenberger, italy, sophie lafond & felicity. ♦ agility individually: 1- wust & doerte (germany), 2- sandy & miya (slovenia), 3- nora & freya (hungary), 4- linda & bella (sweden),5- claudia schwab & mitch (switzerland). ♦ best lap: tobias wust & doerte 37.75. ♦ agility: 1- france, 2- italy, 3- lithuania, 4- germany, 5- czech rep..
♦ nora perge (hungary) & meya second time: 40.09. ♦ agility: 1- czech rep., 2- denmark, 3- slovakia, 4- USA, 5- switzerland. ♦ agility + jumping: 1- slovakia, 2- USA, 3- denmark, 4- switzerland, 5- czech rep.
individually: 1- cassie & bliss (USA), 2- svetlana & ru (latvia), 3- britney & bilbo (USA), 4- carmen & magia (spain), 5- barbara & lata (poland). ♦ agility: 1- czech rep., 2- denmark, 3- slovakia, 4- switzerland, 5- japan. ♦ agility individually: 1- sandy & miya (slovenia), 2- claudia schwab & mitch (switzerland), 3- naoki & coopy (japan),4- denisa & rally (czech rep.), 5- lucie & kessy (czech rep.). ♦ agility: 1- czech rep., 2- denmark, 3- slovakia, 4- switzerland, 5- japan, 6- canada. 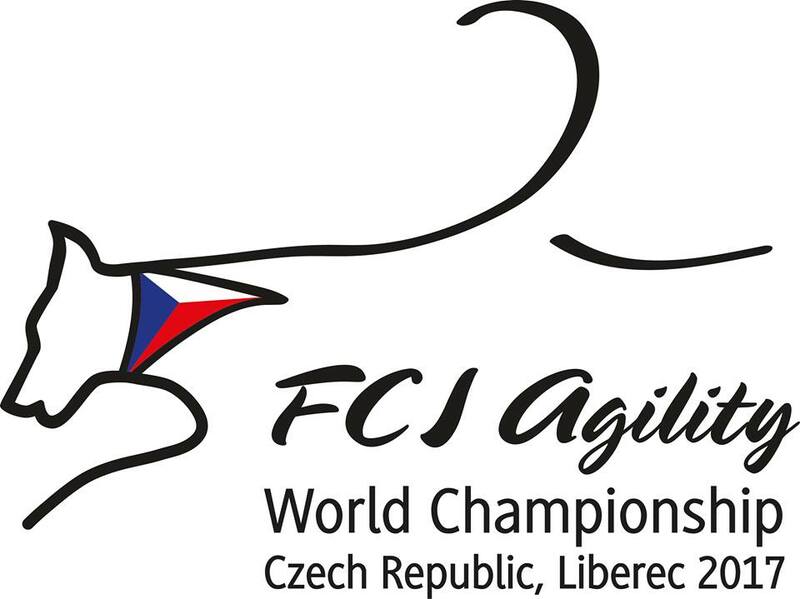 ♦ agility: 1- czech rep., 2- japan, 3- slovenia. ♦ agility individually: 1- sandy & miya (slovenia), 2- denisa & rally (czech rep.), 3- lucie & kessy (czech rep.). ♦ agility: 1- slovania, 2- ucrania, 3- netherlands. ♦ best lap sandi okanovic (slovenia) & mya 37.84 s.
♦ SCT 46, MCT 70, 190 m.
♦ orden de salida/ running orders unofficial, official. ♦ resultados/ results: kacr (agility + jumping, agility), with working dog's live stream, caniva (use drop down menu). ♦ non official results ordered by team & individually. ♦ 1- silas boogk (germany) & beam (shetland) 33.99, 2- schroder (germany) & cashew (shetland) 34.88, 3- claudia zenner (germany) & wii (berger des pyrénées) 35.73, 4- elena (russia) & kimi (mudi) 35.76, 5- klimesova (czech rep.) & kiki (mudi) 35.89. ♦ videos: asa & alma, trkman &le, silas boogk & beam (1, 2), germany, schroder & cashew, claudia & wii, elena & kimi, natasha wise & dizzy, klimesova & kiki, werner & esmeralda, trkman & le, schroder, cashew & gin. ♦ best lap: silas boogk (germany) & beam (shetland) 33.99. ♦ best lap: schroder (germany) & cashew (shetland) 34.88. ♦ 1- claudia zenner (germany) & wii (berger des pyrénées) 35.73, 2- trkman (slovenia) & le (berger des pyrénées) 36.05, 3- inna (norway) & wii (shetland) 36.08, 4- sanni (finland) & stig (shetland) 36.68, 5- radka (czech rep.) & easy (shetland) 37.67. ♦ best lap: claudia zenner (germany) & wii (berger des pyrénées) 35.73. ♦ 1- trkman (slovenia) & le (berger des pyrénées) 36.05, 2- radka (czech rep.) & easy (shetland) 37.67, 3- korotkova (russia) & shayba (border collie) 38.11, 4- marjan (netherlands) & hokey (pumi) 38.46, 5- aleksandrer (estonia) & niki (manchester terrier) 38.69, 6- montalvo (espana) & kobu (brazilian terrier) 38.69, 7- shigeru (japan) & rock (poodle) 41.10. ♦ 29 sec for the entrance of tunnel number 18. ♦ best lap: trkman (slovenia) & le 36.05. ♦ SCT 45, MCT 68, 200m. ♦ resultados/ results: kacr, with working dog's live stream, caniva (use drop down menu). ♦ 1- wust (germany) & doerte (shetland) 31.59, 2- eli beate (norway) & zelda (shetland) 34.13, 3- marusa (slovenia) & nai (shetland) 34.22,4- sophie lafond (france) & felicity (shetland) 34.32, 5- sandra (sweden) & milla (shetland) 34.68. ♦ 2 seconds and half between first and second place. ♦ best lap: wust (germany) & doerte (shetland) 31.59. ♦ best lap: marusa (slovenia) & nai (shetland) 34.22. ♦ videos: sophie lafond & felicity, linda enberg & bella . ♦ best lap sophie lafond (france) & felicity (shetland) 34.32. ♦ best lap: lucie (czech rep.) & kessy (parson) 34.86. ♦ SCT 40, MCT 60, 172 m.
♦ course judged by mirja lapanja. ♦ 1- svetlana kreslina (latvia) & salsa 35.18, 2- kralova (czech rep.) & say 35.32, 3- marje piiroja (estonia) & dints (malinois) 35.93, 4- vakonic (slovakia) & fiona 35.65, 5-kaitoda(japan) & konan 35.80. ♦ best lap: svetlana kreslina (latvia) & salsa 35.18. ♦ best lap: kralova (czech rep.) & say 35.32. ♦ best lap: marje piiroja (estonia) & susi 35.63. ♦ best lap: vakonic (slovakia) & fiona 35.65. ♦ best lap: anita (hungary) & ditta 35.90. ♦ videos: silvia trkman & le. ♦ agility: 1- hungary, 2- USA, 3- slovenia, 4- czech rep., 5- italy. agility + jumping: 1- slovenia, 2- czech rep., 3- france, 4- hungary, 5- USA. ♦ last team: czech rep..
♦ best lap: silvia trkman (slovenia) & le 35.97.
individually agility: 1- silvia trkman (slovenia) & le 35.97, 2- agnes (hungary) & ike (poodle), 3- heidi penttila (sweden) & rosey (poodle) 36.58, 4- anne karlsson (sweden) & bonnie (mudi) 37.13, 5- ina himle (norway) & wii (shetland) 37.27.
agility + jumping: 1- silvia trkman (slovenia) & le, 2- anne karlsson (sweden) & bonnie (mudi), 3- agnes (hungary) & ike (poodle), 4- andy (belgium) & deedee, 5- svetlana (russia) & tory . ♦ agility: 1- hungary, 2- USA, 3- slovenia, 4- italy. agility + jumping: 1- slovenia, 2- france, 3- hungary, 4- USA, 5- belgium. ♦ agility: 1- hungary, 2- USA, 3- italy, 4- belgium. agility + jumping: 1- hungary, 2- USA, 3- belgium, 4- switzerland, 5- japan. ♦ agility: 1- hungary, 2- USA, 3- italy, 4- japan. agility + jumping: 1- hungary, 2- USA, 3- Japan, 4- russia, 5- brazil. individually agility: 1- agnes (hungary) & ike (poodle), 2- heidi penttila (sweden) & rosey (poodle) 36.58, 3- anne karlsson (sweden) & bonnie (mudi) 37.13, 4- ina himle (norway) & wii (shetland) 37.27, 5- svetlana (russia) & tory (border collie). agility + jumping: 1- hungary, 2- USA, 3- Japan, 4- brazil, 5- latvia. ♦ best lap: agnes (hungary) & ike 36.37.
individually agility: 1- agnes (hungary) & ike (poodle), 2- heidi penttila (sweden) & rosey (poodle) 36.58, 3- anne karlsson (sweden) & bonnie (mudi) 37.13, 4- ina himle (norway) & wii (shetland) 37.27, 5- ze (brazil) & bina (border collie). agility + jumping: 1- anne karlsson (sweden) & bonnie (mudi), 2- agnes (hungary) & ike (poodle), 3- wendy (netherlands) & beat, 4- maureen (USA) & michael, 5- vivy (brazil) & jem (shetland). ♦ agility + jumping: 1- USA, 2- japan, 3- brasil, 4- latvia, 5- poland. ♦ agility: 1- poland, 2- italy, 3- slovakia, 4- netherlands, 5- norway. agility + jumping: 1- poland, 2- italy, 3- netherlands, 4- united kingdom, 5- southafrica. ♦ individually agility: 1- heidi penttila (sweden) & rosey (poodle) 36.58, 2- anne karlsson (sweden) & bonnie (mudi) 37.13, 3- ina himle (norway) & wii (shetland) 37.27.
agility + jumping: 1- anne karlsson (sweden) & bonnie (mudi), 2- giraudi (italy) & arsenio lupin (shetland), 3- roman (poland) & evo (berger des pyrénées), 4- bredo (norway) & ficus (berger des pyrénées), 5- andrea (Italy) & easy it (parson). ♦ agility: 1- italy, 2- slovakia, 3- norway, 4- united kingdom, 5- southafrica. agility + jumping: 1- italy, 2- united kingdom, 3- southafrica, 4- norway, 5- portugal. agility + jumping: 1- anne karlsson (sweden) & bonnie (mudi), 2- bredo (norway) & ficus (berger des pyrénées), 3- giedre (lithuania) & jaspis (poodle). ♦ agility: 1- slovakia, 2- norway, 3- southafrica, 4- sweden. agility + jumping: 1- southafrica, 2- norway, 3- slovakia, 4- canada. 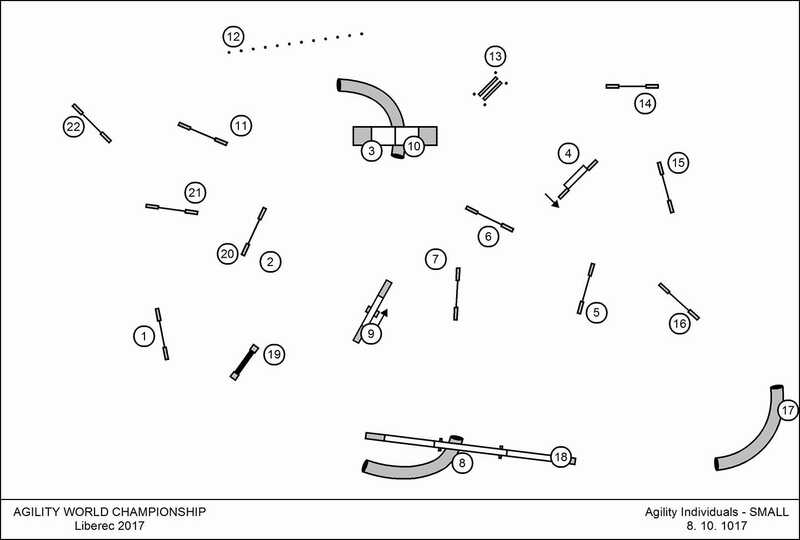 ♦ agility: 1- slovakia, 2- norway, 3- sweden. agility + jumping: 1- norway, 2- slovakia, 3- colombia. agility + jumping: 1- anne karlsson (sweden) & bonnie (mudi), 2- bredo (norway) & ficus (berger des pyrénées), 3- nadine (denmark) & victor (shetland). ♦ best lap (but with 1 fault): werner (austria) & esmeralda 35.89. ♦ 21 sec at the end of slalom for a good total time. 1- slovakia, 2- norway, 3- sweden. ♦ best lap: ina himle (norway) & wii 37.27. ♦ 47 s/ 75 s, 199 m.
♦ poland is the only team with no faults in agility and in jumping. ♦ agility: 1- poland, 2- germany, 3- finland, 4- estonia, 5- italy. agility + jumping: 1- poland, 2- germany, 3- estonia, 4- italy, 5- sweden. ♦ videos: lisa frick (austria) &jack (1, 2, 3), olympic lap from poland, marje (estonia) & susi, janita (finland) & fu, germany, croatia, jenny damm & lilli (1, 2), kaitoda & konank. ♦ los sudamericanos en agility: argentina (19), chile (31),colombia (34), brasil (35). en agility + jumping: argentina (18), brazil (29), colombia (30), chile (33). ♦ agility: 1- poland, 2- finland, 3- estonia, 4- italy, 5- russia. agility + jumping: 1- poland, 2- estonia, 3- italy, 4- sweden, 5- finland. ♦ agility: 1- poland, 2- finland, 3- italy, 4- russia, 5- sweden. agility + jumping: 1- poland, 2- italy, 3- sweden, 4- finland, 5-russia. ♦ nina gregl 37.05. best lap but with 3 faults. ♦ agility: 1- poland, 2- finland, 3- italy, 4- russia, 5- croatia. agility + jumping: 1- poland, 2- italy, 3- finland, 4-russia, 5- luxembourg. ♦ agility: 1- poland, 2- finland, 3-russia, 4- croatia, 5- luxrmbourg. agility + jumping: 1- poland, 2- finland, 3-russia, 4- luxembourg, 5- croatia. ♦ agility: 1- finland, 2- croatia, 3- luxrmbourg, 4- hungary, 5- united kingdom. agility + jumping: 1- finland, 2- luxembourg, 3- croatia, 4- hungary, 5- united kingdom. ♦ agility: 1- finland, 2- croatia, 3- hungary, 4- ukraine, 5- southafrica. agility + jumping: 1- finland, 2- croatia, 3- hungary, 4- ukraine, 5- belgium. ♦ agility: 1- guillem (spain) & tri 37.39, 2- Balasopoulos (greece) & mio 38.86, 3- julia fuzi (hungary) & jet 38.92, 4- janita (finland) & fu 39.26, 5- pasi (finland) & wiu 39.32. ♦ agility: 1- finland, 2- hungary, 3- ukraine, 4- southafrica, 4- belgium. agility + jumping: 1- finland, 2- hungary, 3- ukraine, 4- belgium, 4- southafrica. ♦ in agility: 1- portugal, 2- china, 3- serbia. ♦ agility: 1- hungary, 2- ukraine, 3- spain, 4- argentina. agility + jumping: 1- hungary, 2- ukraine, 3- argentina, 4- spain. ♦ agility: 1- hungary, 2- spain, 3- argentina. agility + jumping: 1- hungary, 2- argentina, 3- spain. ♦ agiity, agility + jumping: 1- hungary, 2- spain, 3- greece. ♦ best lap guillem (spain) & tri 37.39.
in agility + jumping: 1- china,2- chile, 3- portugal. best lap: silvia trkman (slovenia) & to 40.13 (1 fault and 1 refusal). ♦ 48/72 sec. 200 m.
♦ non official results (agility & agility + jumping) ordered by team & individually. ♦ videos: tobias wust (germany) & doerthe, sweden, kolenko (slovenia) & ammy, austria, USA, Tarjei Bratt Hveding (norway) & galena, nicole manes (arg) & brahma. ♦ sudamericanos: colombia (5), argentina (13), brasil (28). ♦ 1- sweden, 2- germany, 3- italy, 4- russia, 5- colombia, 6- france. ♦ 1- sweden, 2- italy, 3- russia, 4- colombia, 5- france. ♦ 1- sweden, 2- italy, 3- russia, 4- france, 5- hungary. ♦ the best times for the course are when you arrive to slalom 16-17 sec. ♦ 1- italy, 2- russia, 3- france, 4- hungary, 5- estonia, 6- norway. ♦ 1- russia, 2- france, 3- hungary, 4- estonia, 5- norway. ♦ videos: sophie lafond (france) & felicity. ♦ 1- france, 2- hungary, 3- norway, 4- poland. ♦ 1- france, 2- norway, 3- poland. ♦ 1- france, 2- belarus, 3- spain. ♦ 40/61 sec. 179 m.
♦ orden de salida/ running orders oficial. ♦ videos: simone (austria) & babou, switzerland, babou (austria) vs kiki (czech rep.), werner (austria) & esmeralda, silas boogk (alemania) & beam, daniel schroder (alemania) & cashew, brazil. ♦ equipos sudamericanos: brasil (9), colombia (26). ♦ teams with 4 clean runs: slovenia, switzerland. ♦ 1- czech rep., 2- slovenia, 3- france, 4- switzerland, 5- germany. ♦ 1- daniel schroder (germany) & cashew (shetland) 31.6, 2- silvia trkman (slovenia) & le (berger des pyrénées) 31.73, 3- simone (austria) & babou 31.83, 4- silas boogk (germany) & beam (shetland) 31.81, 5- anne (sweden) & bonnie 32.4. ♦ videos: germany, france, silvia & le (slovenia). ♦ 1- slovenia, 2- france, 3- germany, 4- belgium, 5- hungary, 6- brazil. ♦ 1- daniel schroder (germany) & cashew (shetland) 31.6, 2- silas boogk (germany) & beam (shetland) 31.81, 3- andy de groote (belgium) & deedeee (border collie) 32.46, 4- Jade Erkko (finland) & esso (spanish water dog) 33.29, 5- agnes (hungary) & ike (poodle) 33.29. ♦ some good times are 19 sec for the slalom and 27 sec for last tunnel's entry. ♦ 1- france, 2- germany, 3- belgium, 4- hungary, 5- brazil. ♦ 1- daniel schroder (germany) & cashew (shetland) 31.6, 2- silas boogk (germany) & beam (shetland) 31.81, 3- Jade Erkko (finland) & esso (spanish water dog) 33.29, 4- agnes (hungary) & ike (poodle) 33.29, 5- renaud castelain (france) & demeter (shetland) 33.46. ♦ 1- france, 2- germany, 3- hungary, 4- brazil, 5- japan. ♦ 1- germany, 2- hungary, 3- brazil, 4- japan, 5- netherlands. ♦ best lap: daniel schroder (germany) & cashew 31.6. 1- daniel schroder (germany) & cashew (shetland) 31.6, 2- silas boogk (germany) & beam (shetland) 31.81, 3- Jade Erkko (finland) & esso (spanish water dog) 33.29.4- agnes (hungary) & ike (poodle) 33.29, 5- maniewska (poland) & brava 33.70. ♦ 1- germany, 2- brazil, 3- netherlands, 4- poland. ♦ 1- Jade Erkko (finland) & esso 33.29, 2- maniewska (poland) & brava 33.70, 3- wendy willemse (netherlands) &beat 36.11. ♦ 1- brazil, 2- netherlands, 3- poland. ♦ best lap Jade Erkko (finland) & esso 33.29. ♦ course (facebook, .jpg) from mirja lapanja. ♦ working dog shows only some of the individual runs: link to video library; helps (.pdf, .png). ♦ videos en facebook: austria, switzerland, ceremony for jumping teams large. ♦ 7 dogs run at more than 6 m/s. ♦ 146 runs; 82 clean runs in total and only 23 disqualifications. ♦ there were only 0.01 s between the second and the third dog. the difference between first and second country is less than 1 second. ♦ marje piiroja was among the 10 best clean runs with her two dogs. ♦ países sudamericanos: brasil (22), colombia (24), argentina (27), chile (33) en 37 equipos. ♦ 1- czech rep., 2- germany, 3-estonia, 4- austria, 5- sweden. ♦ best lap: marje piiroja (estonia) & susi 32.77. 1- marje piiroja (estonia) & susi 32.77, 2- Masanori Kaitoda (japan) & konan 32.87 , 3- mari elvevold (norway) &mist, 4- kralova (czech rep.) & say and lisa frick (austria) & jack 33.05. ♦ 1- Masanori Kaitoda (japan) & konan 32.87 , 2- mari elvevold (norway) & mist, 3- kralova (czech rep.) & say and lisa frick (austria) & jack 33.05, 5- muller schnick (germany) & hunter 33.11. ♦ videos de austria: lisa frick & jack, sissy & yeremy, anke & lia, marion & kanga. Dave munnings (united kingdom) & fame (facebook). ♦ silvia trkman (slovenia) & to 32.87with 1 fault. ♦ 1- czech rep., 2- germany, 3- austria, 4- sweden, 5- japan. ♦ 1- Masanori Kaitoda (japan) & konan 32.87 , 2- kralova (czech rep.) & say and lisa frick (austria) & jack 33.05, 4- muller schnick (germany) & hunter 33.11, 5- liska (czech rep.) & ory 33.29, 6- tereza otypkova (czech rep.) & jess 33.68. ♦ 1- czech rep., 2- germany, 3- sweden, 4- japan, 5- canada. ♦ videos: muller schnick (germany) & hunter (facebook). ♦ the best time dogs were leaving the slalom with something like 13 sec. ♦ best time is for nina gregl (croatia) & wai with 31.79 but 1 fault. ♦ video with jouni orenius (sweden) & neela (facebook), team from chile (facebook). ♦ videos from working dogs will be available for classic users at the end of the day. ♦ 1- Masanori Kaitoda (japan) & konan 32.87 , 2- kralova (czech rep.) & say 33.05, 3- muller schnick (germany) & hunter 33.11, 4- liska (czech rep.) & ory 33.29, 5- tereza otypkova (czech rep.) & jess 33.68. ♦ 1- czech rep., 2- germany, 3- sweden, 4- japan, 5- poland. ♦ 1- Masanori Kaitoda (japan) & konan 32.87 , 2- muller schnick (germany) & hunter 33.11, 3- gora (croatia) & gunga 33.72, 4- schroder (germany) & gin 33.78, 5-orenius (sweden) & neela 33.89, 6-jenny damm (sweden) & lilli 34.01. ♦ 1- germany, 2- sweden, 3- japan, 4- poland, 5- croatia. ♦ 1- sweden, 2- japan, 3- poland, 4- croatia. ♦ 1- Masanori Kaitoda (japan) & konan 32.87 , 2- gora (croatia) & gunga 33.72, 3-orenius (sweden) & neela 33.89, 4-jenny damm (sweden) & lilli 34.01. ♦ 1- sweden, 2- poland, 3- croatia. ♦ 1- gora (croatia) & gunga 33.72, 2-orenius (sweden) & neela 33.89, 3-jenny damm (sweden) & lilli 34.01. ♦ best lap natalia lichecka (polonia) & yena 35.15. 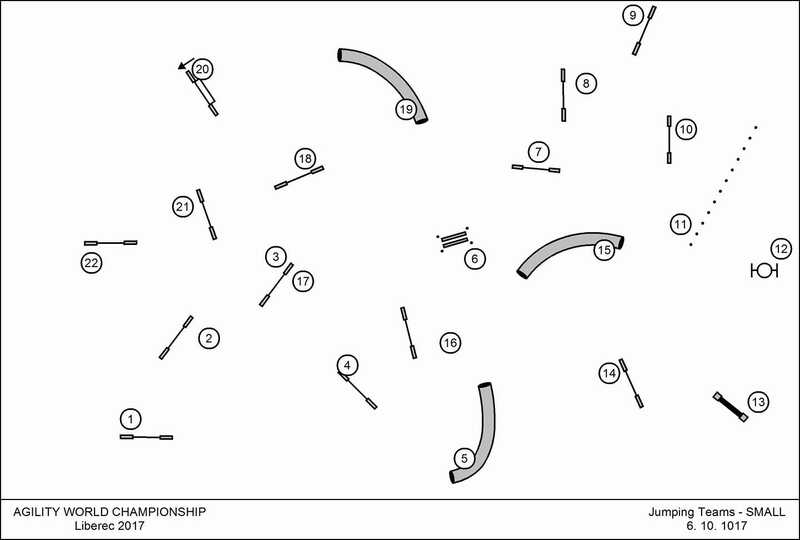 ♦ course time 45/ 70 sec. course length 198 m.
♦ pista de petr pupik (1, 2). ♦ live stream from opening ceremony on facebook (agility dog colombia, mag agility). ♦ live stream announced on facebook. ♦ photos from the gala (facebook). ♦ photos juukka pätynen (finland), guido kuester (germany). ♦ video of the path to the field (facebook anna eifert). ♦ El 31 de julio cierra el plazo para enviar el número de equipos; e; 20 de agosto es el último plazo para enviar las duplas de los equipos (click). ♦ Los perros con orejas cortadas no pueden participar (click).